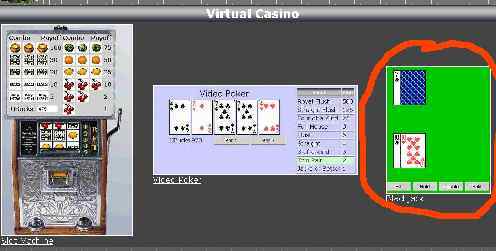 Ok, what's the difference between the casino and the virtual casino? Can that link be killed, then? I supposed I can remove those files... Too bad those games were so lame. I can always write my own though, as you have seen. Brf has never stopped tinkering with this place. This place is far different from the forum that opened here 20 months ago. That's probably why you have him around. But if anyone wins bigtime with the casino thing, let us know. I'm saving my money so that eventually everyone can be pulled down to my check size by losing. It's just a game, guys. We haven't even figured out what to do with the virtual cash yet. 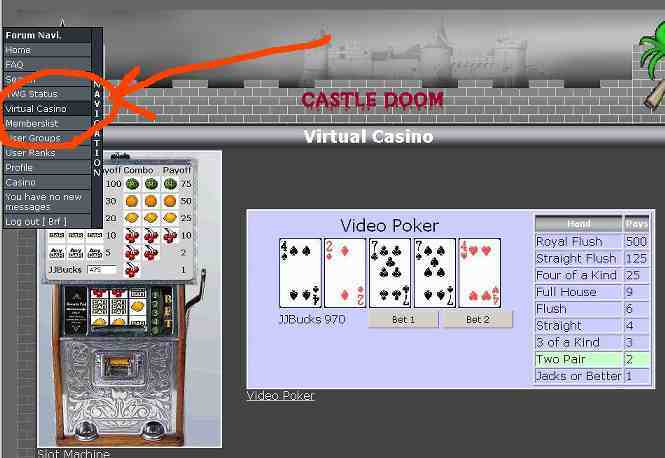 Video Poker has always been Jacks-or-Better to win your cash back. The payoff table on this game has been tweaked a little to bring the payoff up 99.5%. Your typical machines are set at 95% or lower.... or dont pay good odds unless you make the maximum bet. 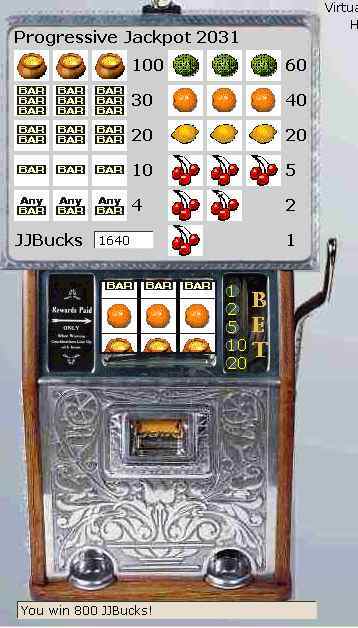 I put in a control panel that lets me me and JJ change the slot-machine parameters... plus there is a Progressive jackpot to be won too. New options are available in Blackjack now too..